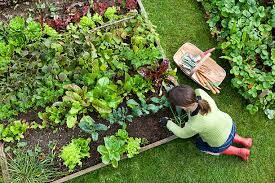 Growing your own fruits and vegetables is one of the most satisfying things about sustainable living. We can solely rely on our hands and the earth to produce healthy, nutritious food, free from packaging, free from guilt. Food gardening in America has increased by 200% in ten years. An amazing 35% of households are growing their own food. So how do we make our fruits and vegetables grow bigger and better, without the need for chemical fertilizers? We can learn about the weather, and the best conditions for the plants that we are growing. If you are an community garden rookie, or a seasoned grower, keeping a weather diary can give you an amazing insight into how your crops grow, and what affects them. The seasonal changes in weather generally dictate when we plant our seeds, for instance winter certainly isn’t the time to be planting berries into the ground, as they soil is too cold for them to grow, and they won’t survive the frosts. However in a warm summer they will thrive. Keeping a weather diary will allow you to have a far more detailed account of the monthly changes in climate, along with how they are affecting the the plants that you are growing. The following year you will be able to look back upon your findings and make decisions on your planting based on what you have learned. A home weather station can give you information about your garden microclimate in incredible detail. This is useful if you are inclined to get big variations in weather in your area. A weather station will give you far more accurate readings than you will get on an app. You can monitor the wind speed, barometric pressure, temperature, and humidity, as well as atmospheric conditions. All of these can have an affect on how your plants grow. You can use the readings that it gives to decide the best time for sowing seeds or for harvesting crops. Many home weather stations will link up with your smartphone too, giving you up-to-date information about what is going on in your garden. Writer Andy Rooney said “The best classroom in the world is at the feet of an elderly person.” In the world of gardening, you will learn an immense amount just from talking to those that have more experience than you. Taking a weather course is a good idea, to learn about seasonal patterns, but talking to other local gardeners will give you a wealth of information about the area that you live in. Farmers are also a fantastic source of knowledge – have you ever noticed how they harvest just at the right time, before the rain comes? It is because they understand the weather patterns and how they affect their crops. Learning all about the weather in your local area will help your garden produce to be thrive. This knowledge you can take with you every year, learning from experience about what grows in different conditions. Educating ourselves about nature and the world we live in, can help us live a sustainable life.